A gifted and captivating speaker, preacher, retreat master, and author. Fr. Larry Richards holds the answer to some of life’s most profound questions. He speaks from experience as a pastor of an inner city parish, a high school chaplain, a counselor and evangelist. Fr. Larry Richards has directed hundreds of retreats, parish missions, and conferences for young and old alike. His inspirational talks, presentations, and books always authentic and enthusiastic, have changed the hearts, minds and lives of millions of listeners and readers worldwide. Ordained to the priesthood in 1989 for the Diocese of Erie, Fr. Larry Richards serves as pastor of St. Joseph Church/Bread of Life Community in Erie. He is also the Founder of the DME (Divine Mercy Encounter) Retreat Program for the Diocese of Erie. Fr. Larry Richards is the founder and president of The Reason for Our Hope Foundation, a non- profit organization dedicated to ‘spreading the Good News’ by educating others about Jesus Christ. For more information on the foundation, go to: www.TheReasonForOurHope.org. Father Larry’s first book, “Be a Man! Becoming the Man God Created You To Be” was published by Ignatius Press in October of 2009, and was the #1 best seller by Ignatius Press, having sold over 100,000 copies. In “Be a Man!” he recounts his struggles to learn true manhood, as well as the inspiring stories of others he has served in his decades as a priest. He tells men how to focus on the right goal, how to live as a beloved son of God, of the need to acknowledge one’s faults and to live according to the Holy Spirit, to be a man of true love and of wisdom, to appreciate properly the differences between men and women, to pursue holiness, and to make a difference in the world. Not preachy but direct, Father Larry challenges men to be strong, without putting on a mask of false strength or machismo. He calls men to admit their weaknesses and limitations, while urging them to find strength in faith and genuine love to overcome their sins and faults. Father Larry’s second book, “Surrender! The Life Changing Power of Doing God’s Will” was published by Our Sunday Visitor in September of 2011 and has sold over 40,000 copies. Fr. Larry Richards challenges you to let go of attachments, assumptions, and excuses that hold you back from giving yourself more fully to God, in order to receive everything God wants to give you. A Men’s Bible will soon be released by Fr. Larry with Our Sunday Visitor. 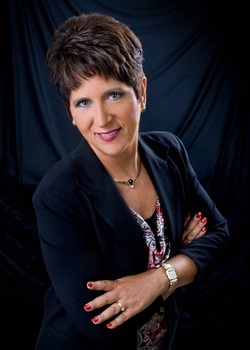 Teresa Tomeo is an author, syndicated Catholic talk radio host, and motivational speaker with more than 30 years of experience in TV, radio and newspaper. In the year 2000, she left the secular media to start her own speaking and communications company. Her daily morning radio program, Catholic Connection, is produced by Ave Maria Radio in Ann Arbor, Michigan and now heard on over 200 Catholic stations nationwide through the EWTN Global Catholic Radio Network. Her talk radio program is also carried on Sirius/XM Satellite Radio. Ms. Tomeo is a columnist and special correspondent for the national Catholic newspaper, Our Sunday Visitor. She appears frequently on EWTN Catholic Television. Teresa and co-hosts the new EWTN program The Catholic View for Women. Teresa has also been featured on The O’Reilly Factor Fox News, Fox & Friends, and MSNBC discussing issues of faith and media awareness. In 2008 the she was chosen as only one of 270 delegates from around the world to attend the Vatican Women’s Congress held in Rome marking the 20th Anniversary of John Paul the Second’s Letter entitled On the Dignity and Vocation of Women. As a speaker Teresa travels around the country addressing media awareness and activism, as well as sharing her reversion to the Catholic Church. Her latest book, Extreme Makeover: Women Transformed by Christ, Not Conformed to the Culture was just released in October of 2011 from Ignatius Press. Her first book, Noise: How Our Media Saturated Culture Dominates Lives and Dismantles Families, is published by Ascension Press and is a Catholic best seller. Her second book, Newsflash! My Surprising Journey from Secular Anchor to Media Evangelist was published in September of 2008. Teresa has also co-authored a series of best selling Catholic books called All Things Girl for tween girls focusing on modesty and chastity. 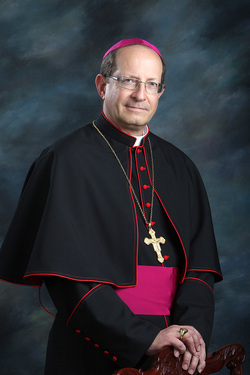 Bishop David J. Walkowiak was born on June 18, 1953 in East Cleveland, Ohio. He is the son of Dr. John Walkowiak of Rocky River, Ohio and the late Virginia Walkowiak. He has three sisters who live in Ohio: Sue Hannon of Bay Village, Jan Striegl of Avon Lake and Carol Duffy of Westlake. Bishop Walkowiak attended Saint Bernadette School in Westlake, Ohio and graduated from Saint Ignatius High School in Cleveland. His college studies were at the University of Notre Dame, where in 1975, he earned a Bachelor of Arts degree in government and international studies. He studied at Saint Mary Seminary in Cleveland and received a Master of Divinity degree in 1979. 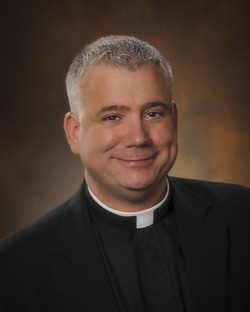 He was appointed the 12th bishop of the Diocese of Grand Rapids by Pope Francis on April 18, 2013.